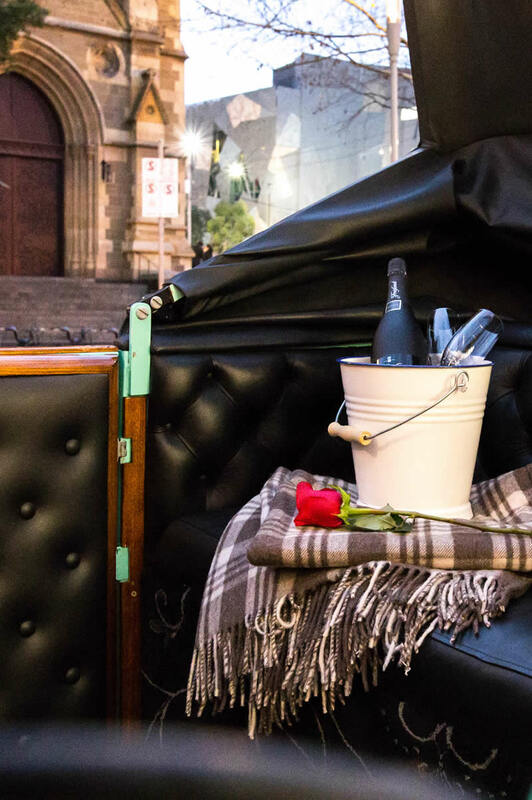 Perfect for a special occasion, or just for something different, you will not be disappointed by the grace and beauty of our traditional carriages rides. 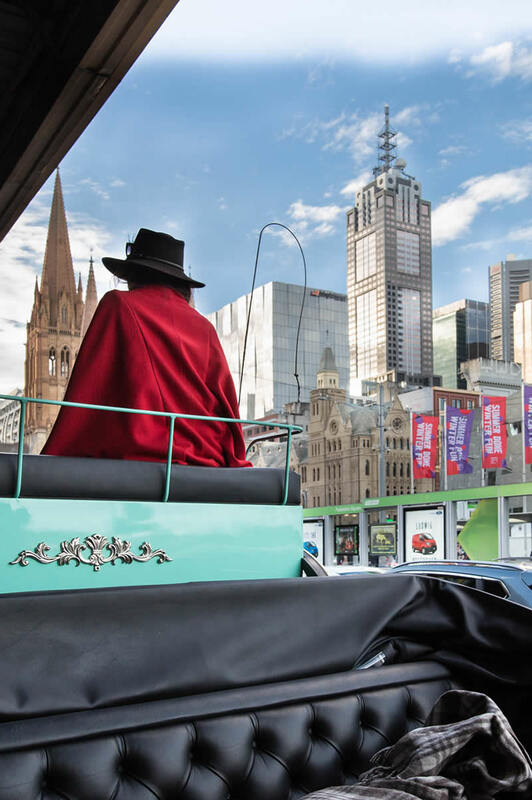 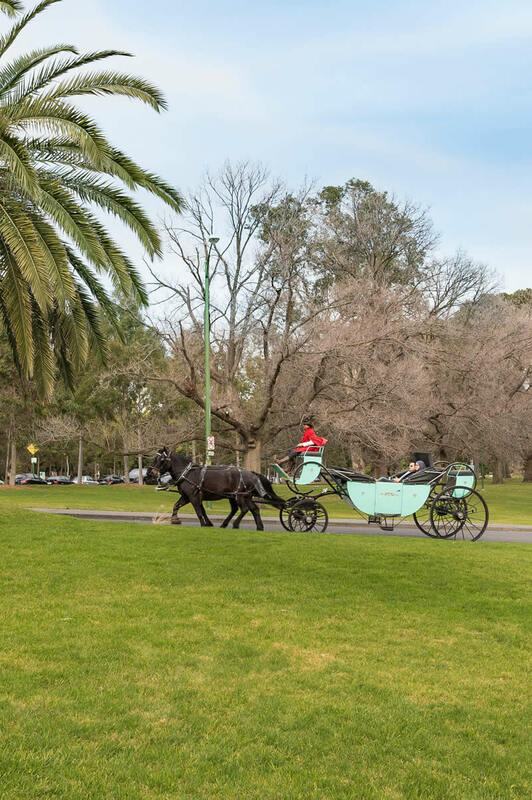 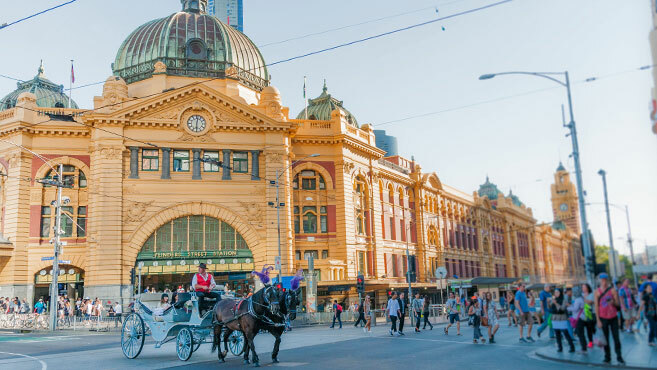 When you ride with Melbourne Classic Carriages, you will marvel at the power and nobility of our horses. 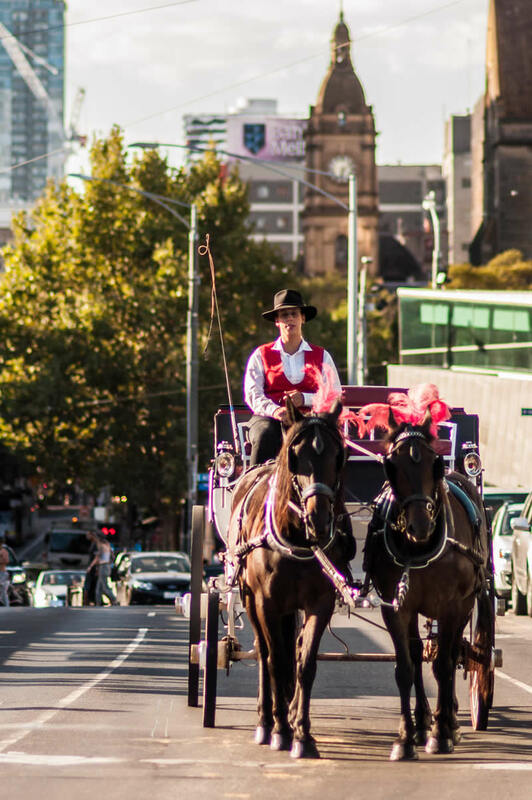 Calm and serene, our horses are at home in the city environment - this is what they have been bred and trained to do. 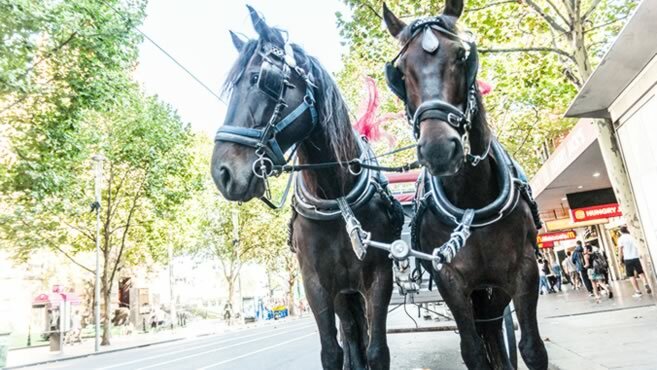 Meet the team of gentle giants who are at the heart of what we do.